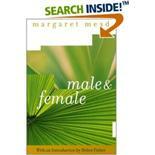 Mead's anthropological examination of seven Pacific island tribes analyzes the dynamics of primitive cultures to explore the evolving meaning of "male" and "female" in modern American society. On its publication in 1949, the New York Times declared, "Dr. Mead's book has come to grips with the cold war between the sexes and has shown the basis of a lasting sexual peace." This edition, prepared for the centennial of Mead's birth, features introductions by Helen Fisher and Mead's daughter, Mary Catherine Bateson. Male & Female remains an extraordinary document of great relevance, while Mead's research methods and fieldwork offer a blueprint for scholars in future generations.